Every Diamond Certified company must continue to deliver on its promises to you, the consumer. That’s why we conduct ongoing customer satisfaction research, perform credential-based ratings, monitor each company’s performance, and back you up with mediation and the Diamond Certified Performance Guarantee. 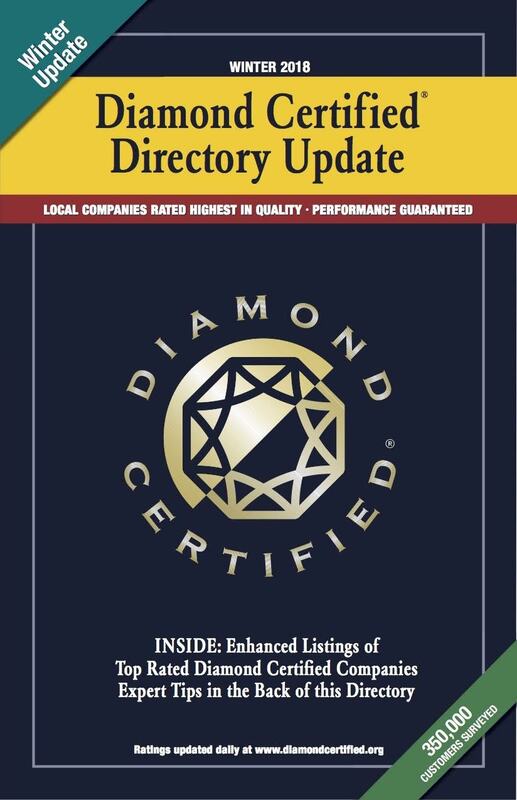 If you haven’t received your copy of the 2019 Winter Diamond Certified Directory Update, simply click here and we’ll send one as soon as possible. Get a jump start on calling Diamond Certified companies before their schedules fill up for the spring!